From 1640 until 1796, Sri Lanka was under Dutch rule. 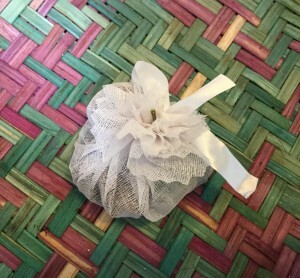 The Dutch Burghers (an ethnic group of mixed Dutch, Portuguese Burghers and Sri Lankan descent) came up with this delicacy known as lamprais (or lump rice). 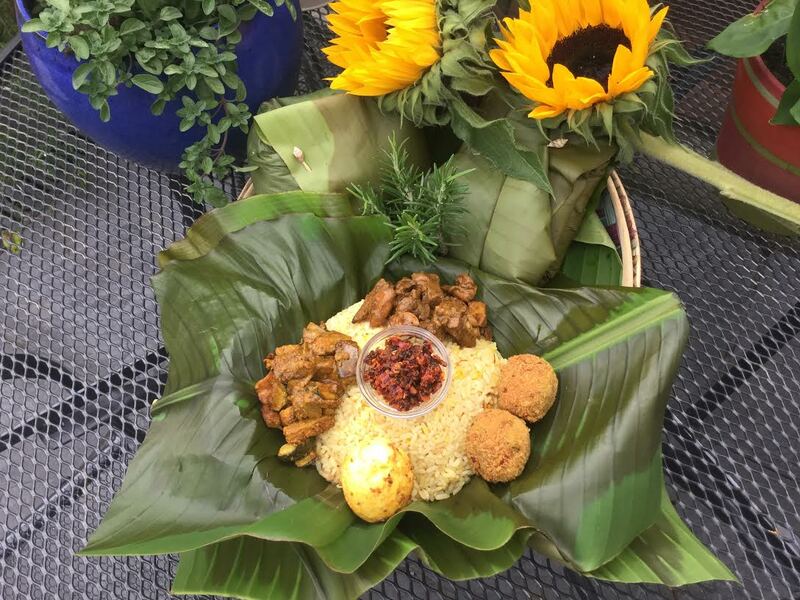 The dish consists of two special curries (three meat curry and ash plantain and aubergine), sambal belacan, tuna balls, deep fried egg and rice – wrapped up in a banana leaf. Whenever I go to Sri Lanka I always remember to taste this! I made this recently for my loving friends who live in London. It came out nicely, full of many flavours that they had not tasted before. I got lots of good comments, so I thought I would share it with you here. Heat the ghee or butter in a pan, add the garlic, ginger and onion and cook 4-5 minutes until the fragrance comes out. Then add the rice and mix well. Add the water, stock cubes, spice bunch and saffron. Cover and simmer until the rice is cooked. When cooked, remove the spice bundle. Boil eggs for 8 minutes, remove the shells and deep fry in vegetable oil until golden brown. Heat the oil in a pan, put all the ingredients in together and cook for 4-5 minutes. Remove from the heat and let it cool down. Pound together, and add sugar, lime and salt. Check the seasoning and keep on one side. 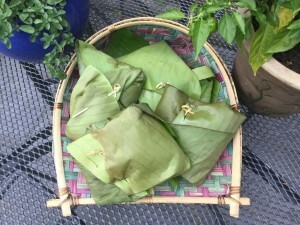 To assemble the rice parcels, soften the banana leaves over a flame. 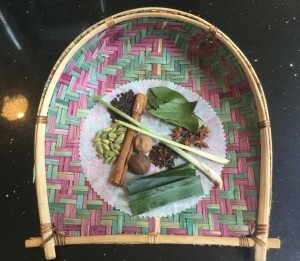 Arrange two leaves one across the other in a shallow bowl and put three serving spoons of steamed rice in the centre. Arrange some of the three meat curry, deep-fried boiled egg, shrimp belacan and two tuna balls around the rice (see picture at the top of this post). Fold the banana leaves over the filling to enclose then secure with toothpicks. Repeat with the remaining leaves and filling. When you are ready to serve, heat the oven to 170*. Place the parcels on a baking tray, making sure the opening is at the top. Bake for 12 minutes until the banana leaves start to turn brown. Remove from the oven, place a parcel on a plate and let your guests open them at the table – savouring the delicious aromas! This entry was posted in Other and tagged ash plantain and brinjal curry, deep fried boiled egg, lump rice, ponni boiled rice, sambal belacan, three meat curry, tuna balls. One of the fabulous recipes that I have ever came across on lump rice. I tried this recipe it was Wonderful. Thank you . keep on giving us great recipes. Wow all the recipes look delicious and I am very looking forward to try out one or another! Ajith you can really be proud of yourself for creating so many beautiful dishes! Moreover, after having met you, I can also say that not only the recipes are amazing but also the person behind it who created them! Hope that there are many recipes following. Would you please post the recipe for three meat curry, aubergine curry and ash plantain.